Welcome to the premiere episode of FacDev4Me! 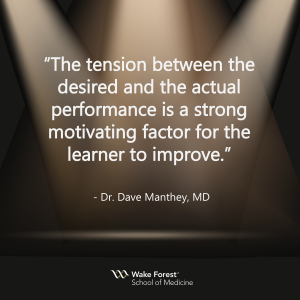 In this episode, Dr. Randy Clinch interviews Dr. Dave Manthey about Giving Effective Feedback. This is a really nice podcast and I will definitely use the TOLDAS module when I give feedback to students in the future. Really like the “show notes”. I am old school and like to print things out and keep in my binders. So, one of my suggestion is to reformat the show notes so that it can fit in 1 – 2 pages so that it can fit in one page when printing out. Great work and I am looking forward to the next episode!